I have Viatalk now and their unit is plugged into my Buffalo router. I would rather not have the modem go through the OOMA to the router. I tried hooking up the OOMA exactly the same as the Viatalk unit and I get no dial tone. Can I go straight from the Router to the OOMA? Is there a downside to either setup?? You can plug your ooma hub into the router. That is how mine is connected. Any idea why I might not be getting a dial tone? I am going from the OOMA "Home" outlet to the router. And I am going from the "phone" plug to the phone of course. mitch77 wrote: Any idea why I might not be getting a dial tone? I had tried that and got the same results. I just put it back there and rebooted the OOMA. all the way to the bottom are lit up red...in case that means something. go to the Network Settings page and change the MODEM port MAC address to use its build in MAC address. Click update button. The 'tab' is clear mean the brightness is turned all the way down. There is a litle wheel on the right side of the hub, turn it up a little, the tab will be either red/not working or blue/working. That why we call it the blue tab. If the tab is red, what is the light pattern on the buttons of the hub: which button is lit up. If no button is lit, press the tab(do not hold) to display the diagnosed light. If the tab is blue, but you don't have a dial tone, you need to plug the phone into the PHONE port of the hub. note if you signed up for ooma to work with a land line--intergraded with a land line--a working land line[with a dial tone] needs to connect to the WALL port. 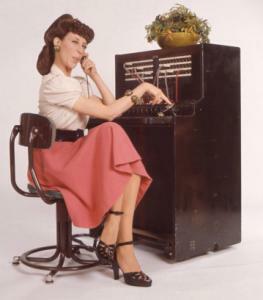 I have it working - dial tone etc. I have never been able to get "setup.ooma" to come up in any browser. I assume that is where you get to the pages mentioned below. I see nothing in the Network Connections either.